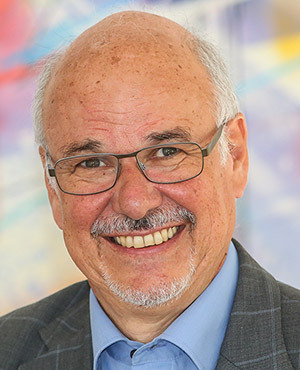 Short bio: Prof. Sebastian Engell, Dr.-Ing., graduated in Electrical Engineering from Ruhr-Universität Bochum, Germany in 1978 and obtained his PhD and venia legendi in Automatic Control from Universität Duisburg in 1981 and 1987. 1990 he became Full Professor of Process Dynamics and Operations at TUDO. 2008 he was a Distinguished Visiting Professor at Carnegie Mellon University, Pittsburgh, USA. He served as Vice-Rector for Research and International Relations of TU Dortmund and has since played a leading role in the development of international collaborations at TUDO. He received several awards for his scientific work, including an ERC Advanced Investigator Grant. He was involved in the EU ICT Support Actions EUCLID (India), BALCON (Western Balkan) and contributes to the EU-South-East Asia Support Action CONNECT2SEA. He leads the ICT STREP DYMASOS and the CSA CPSoS (Cyber-physical Systems of Systems) and is the scientific coordinator of the STREP MORE (Real-time Monitoring and Optimization of Resource Efficiency in Chemical Plants). Expert Group Members short bios can be consulted here. Internet of Things (IoT) is a paradigm that describes that a large number of devices with sensing capabilities are connected via the internet, providing large streams of real-time data that can be used for monitoring and for providing intelligent services. 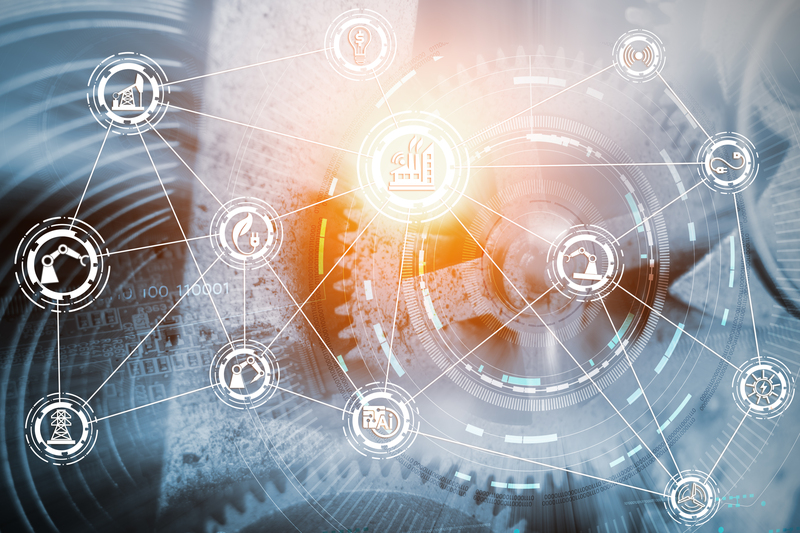 Until now, most of the IoT research and development are focused on sensors and on providing connectivity. In the future using the information provided by the sensors and networks in a smart fashion and connecting sensing to actuation will be the key points that bring value to the users and to the societies. Cyber-physical systems (CPS) are systems where real-time computing elements and physical systems interact tightly. Cyber-physical systems are ubiquitous, as computing devices and software are enabling and enhancing the performance of all except the simplest technical systems. The most challenging class of cyber-physical systems are cyber-physical systems of systems (CPSoS, see www.cpsos.eu) which are characterized by being spatially distributed, having distributed control, supervision and management with partial autonomy of the subsystems, are dynamically reconfigured on different time-scales and can show emerging behaviors. Examples of cyber-physical systems of systems are the electrical grid, railway systems, the public transport system of a city, smart buildings, and production processes with many cooperating elements as e.g. robots, machines, warehouses, or large processing plants with many process units. These large-scale systems are already equipped with a large number of sensing devices. The Internet of Things will make the access to the information provided by these sensors a loT a lot simpler and more flexible So the connectivity provided by the Internet of Things will become an enabling technology for cyber-physical systems of systems in which the loop from a myriad of sensors to the way the systems are operated and also to the demands of the users is closed. This will enable improved monitoring, management and hence new levels of energy and resource efficiency, product and service quality, and safe and reliable operation. The enormous potential of these technologies has been recognized by the European Union, as CPS and IoT are key pillars of the Europe 2020 initiative Digital Agenda for Europe and of other research and innovation programmes, e.g. the ECSEL Joint Undertaking, EUREKA/ITEA, and the ARTEMIS Industry Association (see the latest Strategic Research Agenda of ARTEMIS). Privacy, security, and standardized communication are key aspects to realize cyber-physical systems of systems which are connected via the Internet of Things. Engineering trustable, reliable, evolvable and affordable cyber-physical systems is a scientific and technological challenge that requires huge efforts and where joining forces will help to advance more quickly and to meet societal challenges and to compete on the world markets for both US and European companies. 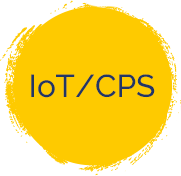 The objective of the Expert Group on IoT/CPS is to identify the key societal challenges where this technology will offer a large potential for improvements, to analyse technology strengths and technology gaps in the EU and in the US, and to make proposals for future EU-US collaborations in the intersection of IoT and CPS, in particular on how to handle the huge amounts of real-time data produced by IoT-connected sensors and how to transform it into useful knowledge and actions that will improve the performance and the safety of Cyber-physical Systems of Systems.